Glazer had been in failing health since 2006 when a pair of strokes left him with impaired speech and limited mobility. 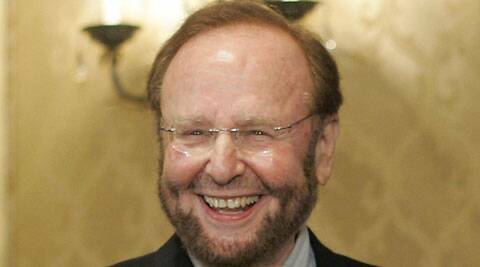 Malcolm Glazer, the self-made billionaire who led the takeover of English football’s Manchester United and owned the NFL’s Tampa Bay Buccaneers, has died. He was 85. The Bucs said Glazer died Wednesday. The reclusive Palm Beach, Florida, businessman had been in failing health since April 2006 when a pair of strokes left him with impaired speech and limited mobility in his right arm and leg. Glazer raised his profile in 2005 with a $1.47 billion takeover of Manchester United that was bitterly opposed by fans of one of the world’s richest football clubs. Before that, his unobtrusive management style helped transform the Bucs from a laughingstock into a model franchise that in 2003 won the Super Bowl 48-21 over the Oakland Raiders. “The thoughts of everyone at Manchester United are with the family tonight,” the team said in a statement. As president and CEO of First Allied Corp., the holding company for the family business interests, he invested in mobile-home parks, restaurants, food service equipment, marine protein, television stations, real estate, natural gas and oil production and other ventures. In March 2010, Forbes ranked him as tied for the world’s 400th richest person, estimating his net worth at $2.4 billion. The magazine’s separate ranking of Americans put him and his family at 139th in fall 2008. He purchased the Bucs for a then-NFL record $192 million in 1995, taking over one of the worst-run and least successful teams in American professional sports. And while Glazer once said he probably overpaid by $50 million, the value of the team has more than quadrupled since he assumed control. “Malcolm Glazer was the guiding force behind the building of a Super Bowl-champion organization. His dedication to the community was evident in all he did, including his leadership in bringing Super Bowls to Tampa Bay,” NFL Commissioner Roger Goodell said. But he was a fixture at Bucs games before his health declined, and he spent generously to acquire players and provide coaches and front office personnel with the resources to do their jobs. To NFL fans accustomed to the frugal ways of original Bucs owner Hugh Culverhouse, Glazer was a savior. The family fired Gruden and general manager Bruce Allen after the 2008 season, however, when the team completed one of the biggest collapses in NFL history, losing four straight games following a 9-3 start to miss the playoffs. The slide continued in 2009 under new coach Raheem Morris as the Bucs went 3-13, their worst record since 1991. The family didn’t get a warm reception in Britain, where United fans protested and burned Glazer’s likeness in effigy because they feared the American was acquiring the storied British football club purely for financial gain. But the club had success on the pitch, winning the League Cup in 2006, 2009 and 2010, the English Premier League from 2007-09, 2011 and 2013 and European Cup and Club World Cup titles in 2008. Despite its worst league finish in 24 years this season, United has been generating record revenue, each quarter, with turnover set to exceed $700 million in the 2013-14 financial year. An intensely private man who cherished maintaining a low profile and spending much of his free time with family, Glazer also bickered with four older sisters over his mother’s estate – a legal battle that lasted more than a decade. Glazer is survived by his wife Linda, six children and 14 grandchildren.